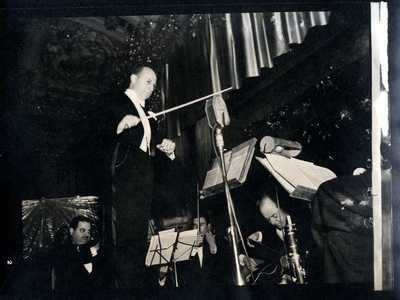 "Meyer Davis on Stage "
A black and white photograph in the Meyer Davis papers or Davis conducting onstage. No information or date is given on the back of the photograph. Saved with scrapbooks from the 1920s.